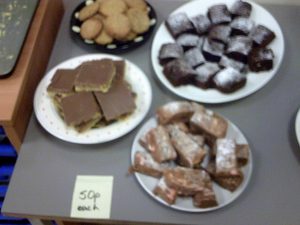 We’ve just had our monthly cake sale on Friday 25th January and we raised a total of £68.73. After recently raising money for both national and local charities, this time we are supporting a High Grange project and the money will help towards running our new Spring Talent Competition. I would not be able to create such a great range of cakes and cookies without the help of some keen bakers. A big thank you to our students.